Canada, a country well known for its picturesque landscapes including the famous Niagara Falls and home to over 37 million people. Like their neighbours just south of the border the Canadians also enjoy their sports whether it be Ice Hockey, Basketball, Baseball, Football - the list goes on. However, the country is still searching for its crowning moment at the highest level of Table Tennis. Since the formation of the World Table Tennis Championships 97 years ago, Canada has not as of yet been amongst the podium positions at the event but it has celebrated its fair share of success on the world stage. In 1993 Johnny Huang finished third at the Men’s World Cup and nine years later he added a Men’s Singles silver medal to his name at the 2002 Commonwealth Games with Canada also securing Women’s Team bronze in Manchester. In 2014, the country collected its third table tennis medal at the Commonwealth Games, sealing Women’s Doubles bronze. 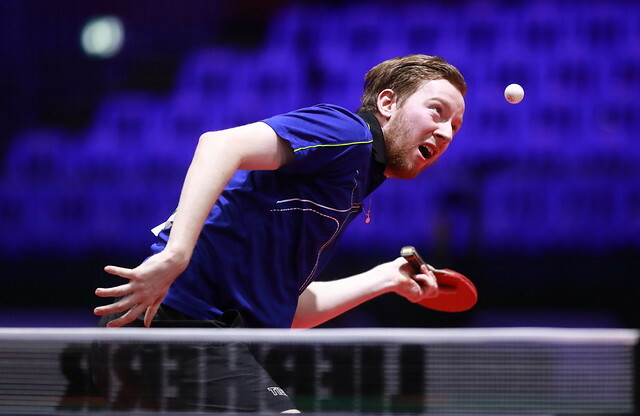 Looking to send a message to the world five years on from Glasgow 2014 Canada is placing its hopes in two ambitious athletes with Zhang Mo and Alicia Cote representing the country at the upcoming Liebherr 2019 ITTF World Table Tennis Championships in Budapest, Hungary from Sunday 21st to Sunday 28th April. Four times North American singles champion, gold medallist at the 2011 Pan American Games and winner of the Pan American Cup in 2018, Zhang Mo is undoubtedly the leading name of Canadian table tennis at this current moment in time and is well experienced on the international circuit having appeared on the biggest of stages the sport has to offer. She’ll be joined by Alicia Cote who is set to compete at the World Championships for a second occasion, having appeared in 2015. The very same year she was the youngest player to feature at the 2015 Pan American Games and will use her time in Budapest as preparation for this year’s edition of the Pan American Games in Lima, Peru. With less than a week before the action gets underway in Budapest, Zhang Mo and Alicia Cote don’t have long to wait until they face off against the world’s finest. Tickets on sale – click here!